The Center for Applied Practical Skills, Incorporated (CAPS) in partnership with Technical Education and Skills Development Authority (TESDA) will be offering a free Agriculture training course in Nueva Ecija, Philippines. The agricultural training will cover topics for Agricultural Crops Production NC I which is currently being offered by TESDA. Trainees who have completed the course is expected to demonstrate work values, practice basic housekeeping procedures, use farm tools, apply basic safety measures and first aid, perform estimation and calculation. They are also able to support horticultural crop work, nursery work, agronomic crop work, and irrigation work. Learners who want to have a national certificate must take the assessment exam. Those who passed the exam will received a National Certificate (NC) signed by the TESDA director general. National certificate holders for this course can apply for a job as a farm laborer. According to TESDA, the Agricultural Crops Production NC I will consist of of competencies that the learners must achieve in the production of different crops which includes vegetables, fruits, nuts, and rice. Workers who have this level of competencies (NCI) would undertake small range of skills. They would be under constant supervision and / or working alongside a more competent worker with some supervisory skills. Learners who want to take this course should know how to read and write, and able to communicate on both written and oral. Aspiring students should be with good moral character. He / she must be physically fit and mentally healthy based on the assessment of a public health officer. 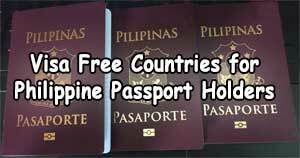 Other requirements includes NSO birth certificate, and high school / college diploma. 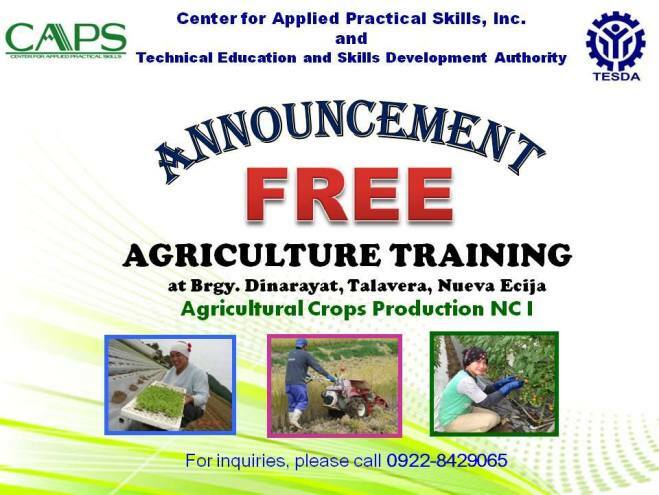 The free agricultural training will be conducted at Barangay Dinarayat Talavera Nueva Ecija, Philippines. Nominal training duration for this particular course is 302 hours. 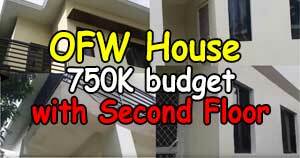 Interested parties can call or text mobile phone number 0922-8429065 for the specific locations and other details. 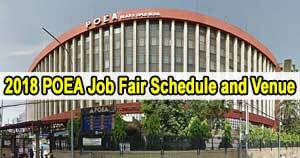 What will be the requirements for the TESDA?